What if you could flip a switch and stop the critical voice in your head? 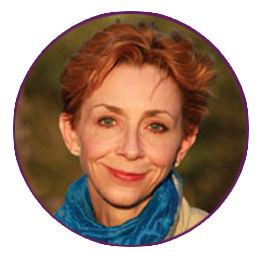 Give Yourself Permission to make the loving choices for yourself – everyday. Most of us know that loving ourselves would be a good idea, but we have no clue what that really means. Self-love feels too vast, too esoteric, and frankly like something you should keep under wraps. After 10 years of trying to answer the questions, “How do I actually love myself?” and “Why is it so hard?”, I finally found not just the answers but I the how-to! This book is the how to go beyond the idea of loving, valuing, and caring for yourself to daring actions and adventures that will help you experience it. You’ll take a series of SELF LOVE PULSE CHECKs for each of the branches – to see where you are already rocking out your relationship with yourself, and where you need to stop and apply some love, and amp up your best friend behavior. Take the adventures, look inside for answers, and liberate yourself into love. START EXPERIENCING LOVE FOR YOURSELF BIG TIME! You give love to so many other people, why not to yourself? Okay, enough talking… let’s get this adventure going! Don’t just take my word, other peeps love the book too! 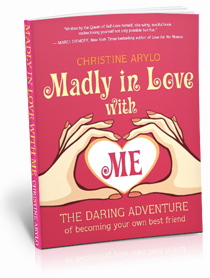 Much more than a self-help book, Madly in Love with ME is an illuminated self-love guidebook that shows you exactly how to love yourself well and live your happiest life- no matter what. 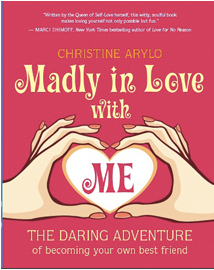 Christine Arylo takes the illusive task of learning to love yourself and turns it into a concrete, how-to, doable path that anyone can master. This is by far one of my all time favorite books. There is nothing more powerful, beautiful or free than a person who chooses to love… especially themselves. To see the impact this book has had on others, read the reviews by other readers. If you want to take a stand for only having loving, respectful relationships that rock your soul, fill your heart with love, and support your dreams, then this book was written for you. Warning: Prepare to be challenged… prepare to get honest with yourself… and prepare to choose love for yourself for good, no matter who you are or aren’t sleeping next too. This book is the go-to book on self-respect, self-honor and self-empowerment when it comes to romantic relationships that we all needed, but few of us got. 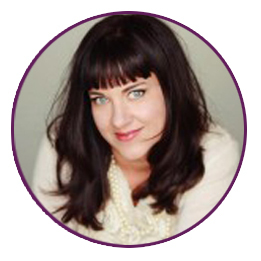 I wrote this book, as a woman who almost married the wrong guy for all the wrong reasons. Smart, full of self-esteem, but low on self-love, I had made receiving love from him more important than me living the life my heart and soul desired. Until I woke up and took 5 very important promises with myself (they are all in the book) and got honest about what I was doing to keep away the love and partnership I wanted. After watching my smart and talented girlfriends, making the same mistakes and wasting so much time and energy on the state of their romantic lives or in dealing with their dramatic relationships – I just had to share what I learned, that led me to not only loving myself, but finding and keeping a really great partner. Stop making your choices from a place of lack, loneliness or fear and start making them from a place of wholeness, self-empowerment and self-honor. 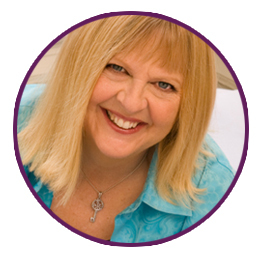 THE CORE FOUR, my secret tool for getting really clear on the person you really want to be with, not in your mind or ego, but in your heart and soul. 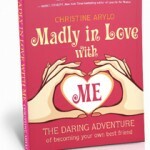 Author and life coach Arylo’s own life story informs every page of this insightful book. After a 15-year relationship, her fiancé called it quits two hours before the engagement party, causing Arylo, a successful marketing executive, months of devastation and self-doubt. 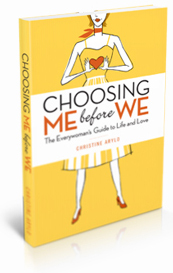 This three-part guide about co-dependent relationships, settling for the wrong man and not knowing what you want begins with “Me,” showing how crucial it is to get to know yourself first because “our relationships are mirrors of ourselves.” Arylo delves a little deeper than most by being honest about how many women are in denial about relationships being fueled by the fear of being alone and feeling incomplete. In part two (“He”), the author guides the reader through a series of visualizations to identify four core qualities the reader wants in her future mate, and part three (“We”) advises on maintaining authenticity and intimacy in a relationship. 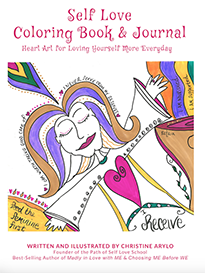 The Self Love Coloring Journal & Book includes 22 illustrations -13 Self Love Mantras + 13 Heart Art Portraits PLUS Inner Wisdom Journaling inquiries to support you to trust yourself and stay true to yourself and choose love for yourself no matter. For women and for girls – for yourself or as a gift, the pages inside are meant to be like medicine for your tender and courageous heart and super power for your soul. 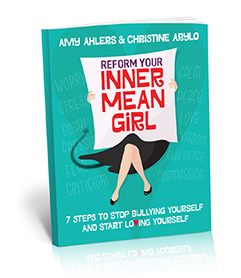 Self-Care, Self-Compassion, Self-Empowerment, Self-Acceptance, Self-Empowerment, & More. Choose a specific type of self-love and proactively strengthen it. Give yourself a “love boost” on the days you are feeling down. Use the inquiries to connect and communicate with your deeper wisdom and truth. Add personalized words and images to make the heart art even more your own. Give it as a gift. Use it in workshops. Do it together with friends/daughters. AND for sure get one for YOURSELF! Fun and Powerful All in One! 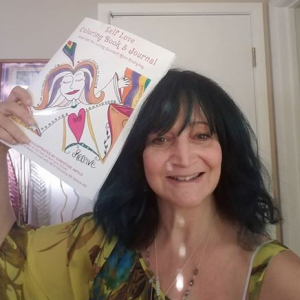 What an awesome book– fun and playful, and filled with powerful healing and loving inquiries in the form of “heart and soul sparks”, places to journal and inspiring information and helpful support and healing/empowering mantras all wrapped up with “heart art”! 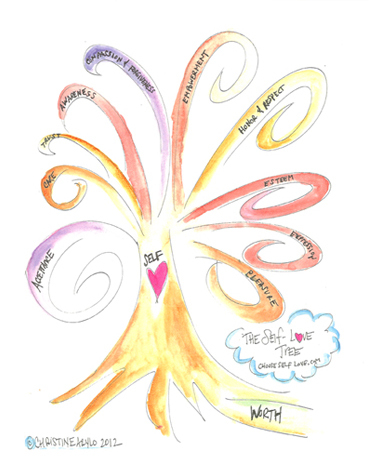 What a beautiful way to explore self-love, connect more deeply to ourselves and love ourselves more! I am ordering more of these wonderful books, starting with one for a young woman who just graduated high school to celebrate her journey so far and beautifully support her on her journey out in the world! 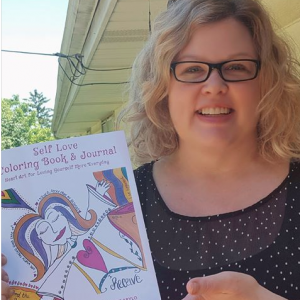 You can feel the love that Christine has infused in this coloring book and journal. I bought one for myself and one for my 17 year old Daughter. We are working on them separately and then will gather together in a circle to share. It is great idea to have a coloring book and journal combined. Plus, you can take them with you anywhere and use any time. These would make amazing gifts for any celebration. We all need to remember the importance of self-love. Thank you Christine for sharing your wisdom! Error: Error validating access token: Session has expired on Friday, 19-Apr-19 12:24:14 PDT. The current time is Thursday, 25-Apr-19 11:33:57 PDT.